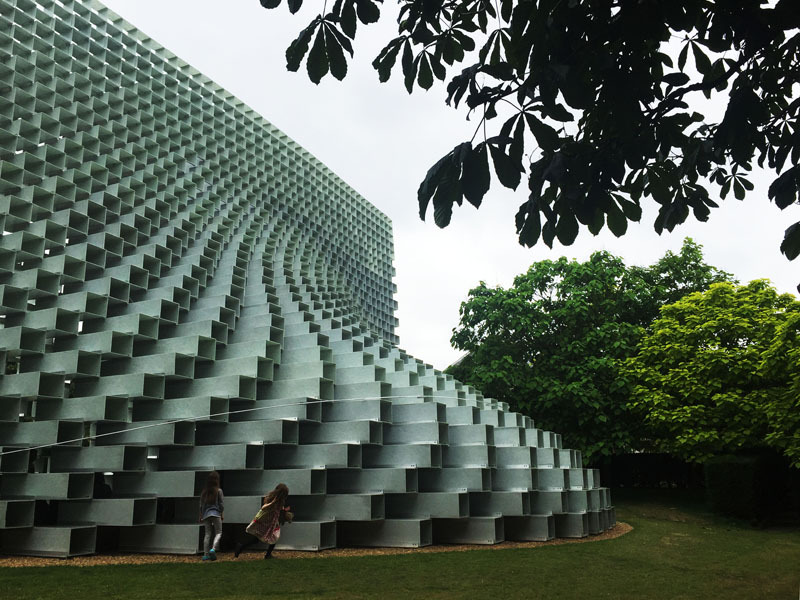 Summer '16 is here, and along with it the 16th Serpentine Pavilion. 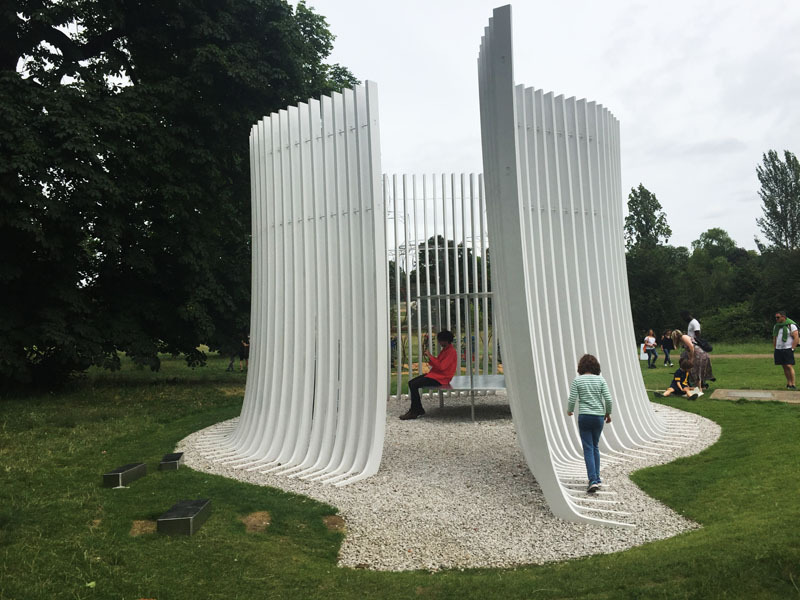 This year though, we have been spoiled, with not only one, but five different structural works to enjoy... or use to shelter from the rain, in the classic British summertime weather! 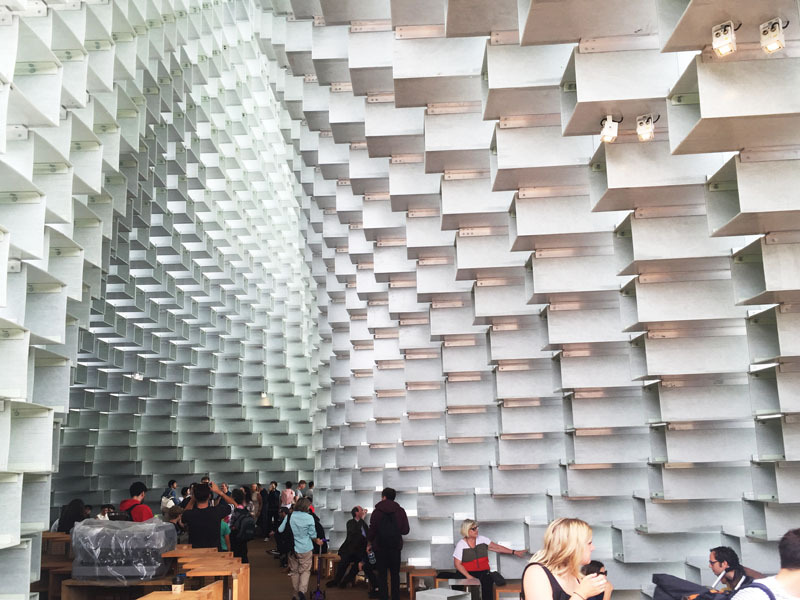 The main pavilion this year is an 'unzipped wall' courtesy of the Bjarke Ingels Group. In a perfect showcase of structural sculpture they, have transformed the architectural staple of a classic brick wall into a 21st century optical illusion that from above appears a straight line but at ground level becomes an organic curved open space to enjoy. 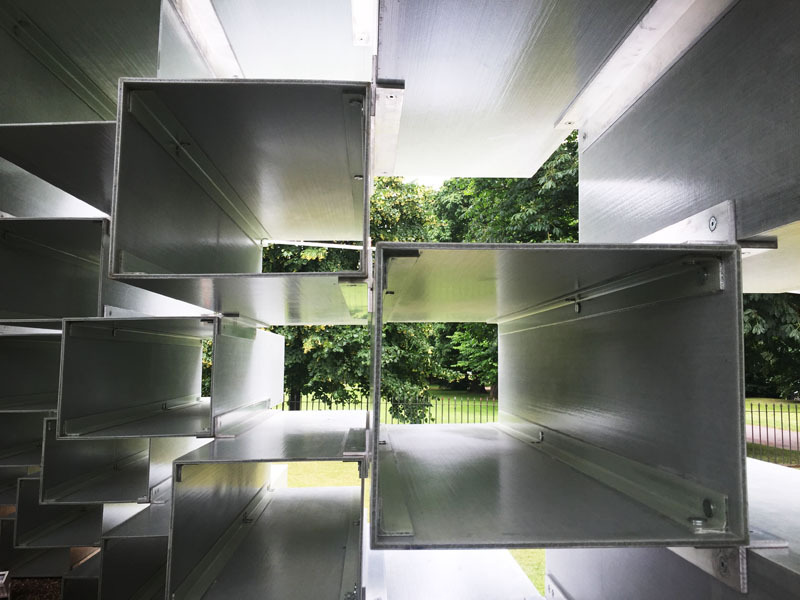 The pultruded fibreglass frames stacked upon one another act as both wall and window, providing views out to the park whilst sheltering those inside. In a perfect play of opposites, the architects themselves have described the structure as as 'both transparent and opaque; both solid box and blob'. 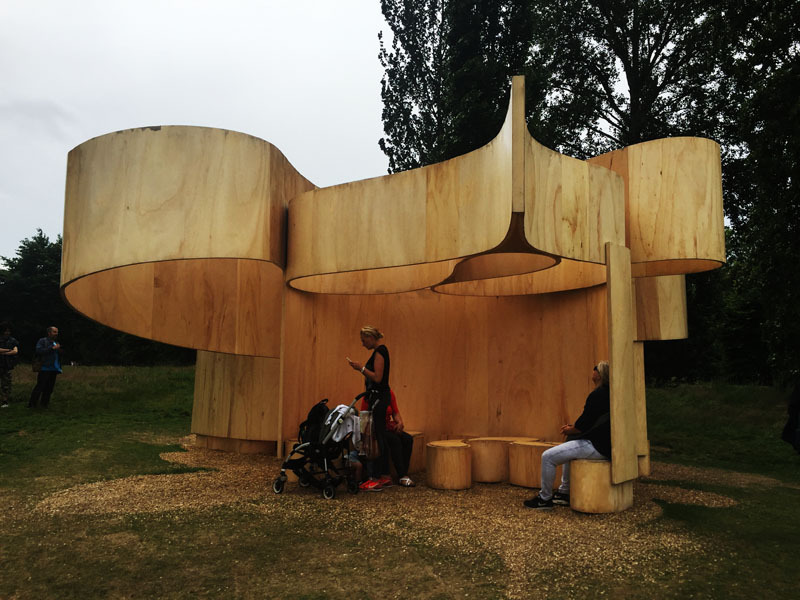 Alongside the pavilion this year, are four summer houses designed by architects that have yet to build permanent structures in England. 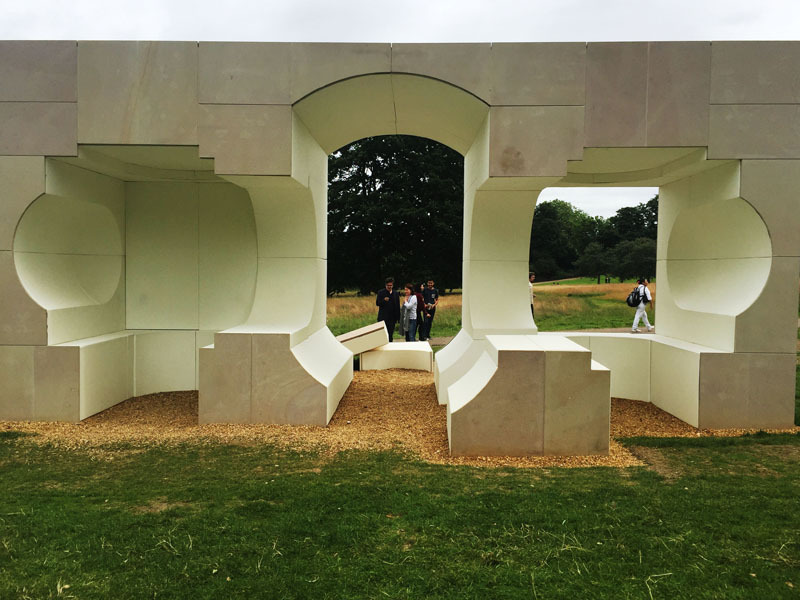 Commissioned to design 25 sqm summer houses, the likes of Kunlé Adeyemi, Barkow Leibinger, Yona Friedman & Asif Khan drew on inspirations from the nearby Queen Caroline’s Temple and exhibit architectural elements to explore up close, and provide snapshot views of Hyde Park in the sunshine. 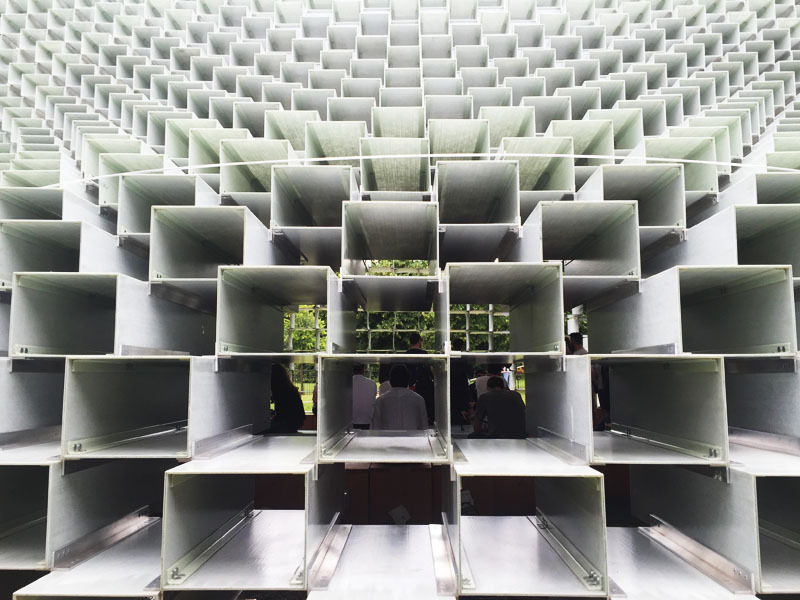 I say this every year, but the Serpentine Pavilion is something I look forward to exploring every summer, whatever the weather! 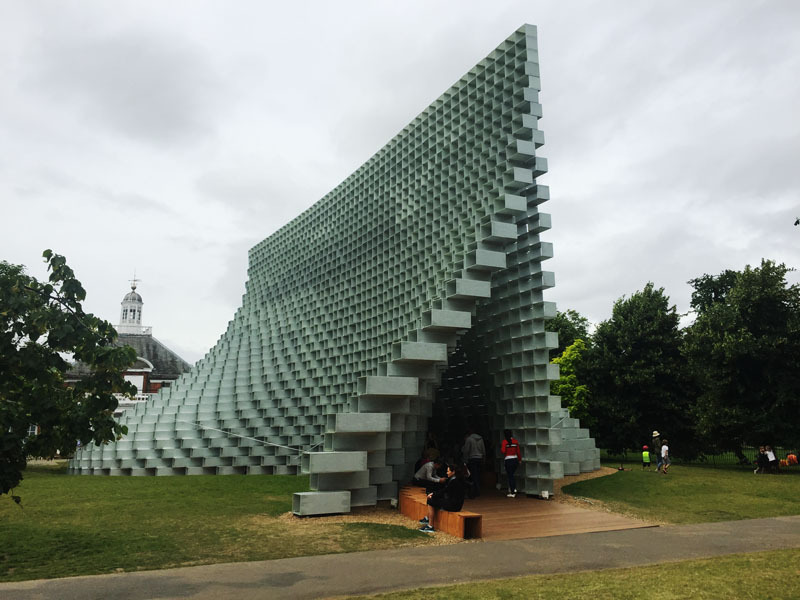 That is an incredible structure! It's hard to imagine how someone had the idea to make something like this. I wish I could see how it looks from above. Oh my, the structures are absolutely amazing. Works of art! I was in London two weeks ago and unfortunately I missed out on this. Thanks for sharing the pics. 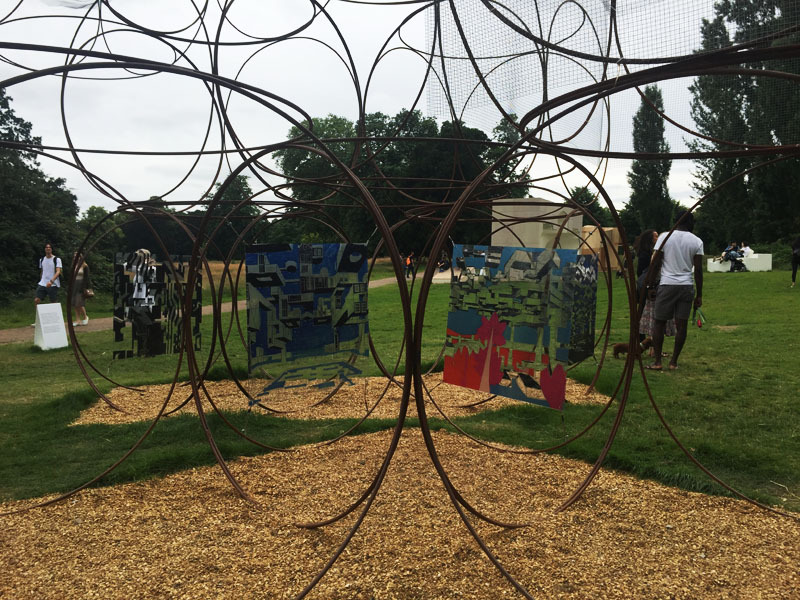 Very interesting exhibition and structures. Definitely amazing place to take some pictures! So cool! 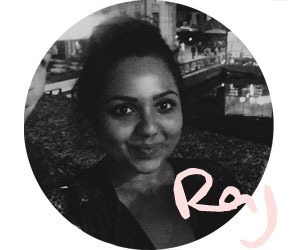 Love a bit of graphic design! I can't stand cold... can you? Amazing artwork, love d pictures !! wow! such a fantastic place dear!!! Theses are so inspiring ! Woow thanks to share !